It was the combination of scenic beauty of the landscapes traveled through on horseback, experiencing amazing night skies in Mongolia’s wilderness, riding easygoing horses, enjoying good food and feeling safe with experienced guides that made the horse trek a great adventure for our guest. She highly recommends this horseback journey into the wilderness, “if you like the outdoors, if you like horses”. The conclusion “I am coming back next year!”. This was in 2015, and Yue Lin has come back every year since then, with friends! 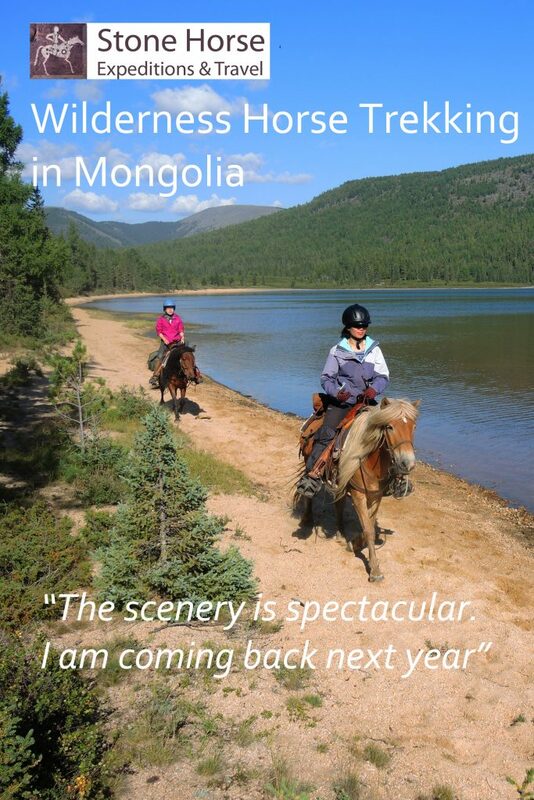 Many thanks to our loyal riding guests in Mongolia! Learn more about our 14 Day Khentii Mountains Wilderness Expedition on Horseback!